Key losses: QB AJ McCarron, C Russell Bodine, CB Adam “Pacman” Jones, RB Jeremy Hill, LB Kevin Minter. Strengths: Playmakers at every spot on offense, especially receiver with A.J. Green, John Ross, Tyler Boyd and Josh Malone. Second-year RB Joe Mixon is dual threat to run or catch, as is veteran Giovani Bernard. QB Andy Dalton coming off subpar year after getting little time to throw. Coordinator Bill Lazor overhauled offense, aiming for more big plays. Deep group of pass rushers led by veteran linemen Carlos Dunlap and Geno Atkins along with second-year LB Carl Lawson anchors reconfigured defense under new coordinator Teryl Austin. Dunlap and Atkins got multiyear extensions before the final preseason game. 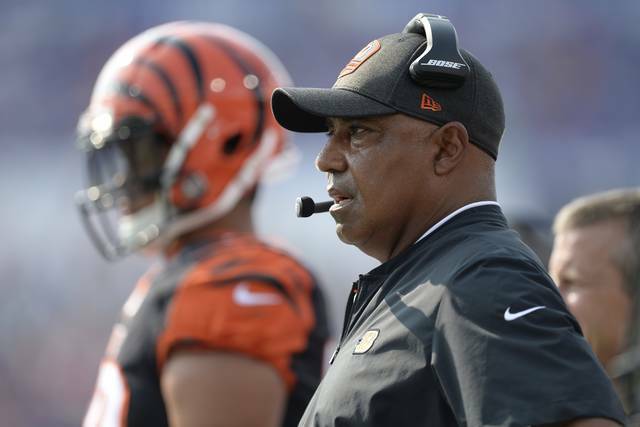 Expectations: Decision to bring back coach Marvin Lewis after second straight losing season and 0-7 playoff record sent message of more-of-same in Cincinnati, which operates under change-averse owner Mike Brown and hasn’t won playoff game since 1990 season, sixth-longest stretch of futility in NFL history. Offense failed to use its big-play threats effectively last two seasons, hampered by awful performance on line. Their fate rests largely upon how overhauled line performs. 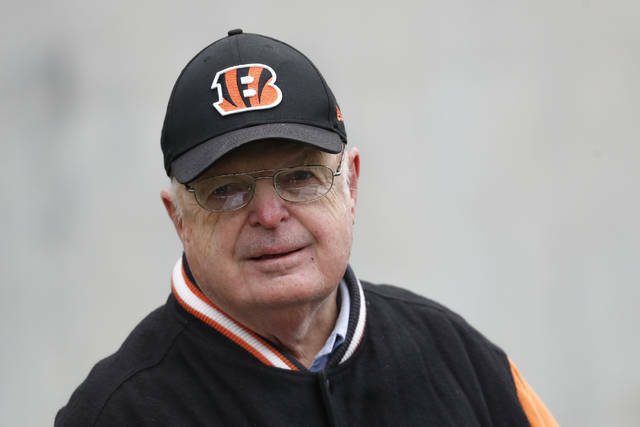 CINCINNATI (AP) — The Bengals celebrated their 50th season last year, finishing 7-9. They’re reaching back into history again for a bit of nostalgia, honoring their 1988 Super Bowl team — the last one to do anything noteworthy in the postseason. The Bengals haven’t won a playoff game since the 1990 season, the sixth-longest streak of postseason futility in NFL history. 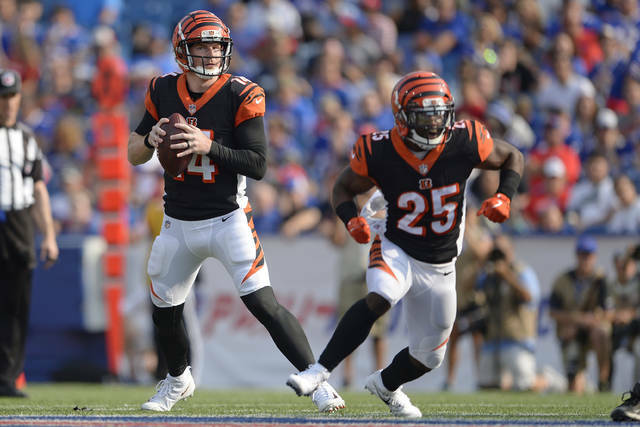 They’ve had seven chances under coach Marvin Lewis and blown them all, including an epic last-minute meltdown against the Steelers in the 2015 season at Paul Brown Stadium. The stadium will likely have a lot of empty seats when the Bengals bring members of the ‘88 team onto the field during their season opener against Baltimore on Thursday, Sept. 13. They failed to fill the stadium for any game last season, and attendance dropped noticeably as a second straight losing season wound down. Lewis was noncommittal about sticking around, but was rewarded with a two-year extension and a 16th chance to try to get it right. Brown’s decision to stay with a coach who has the worst playoff record in NFL history sent a message of more-of-the-same in Cincinnati, where many fans have given up. DALTON 8.0: Quarterback Andy Dalton has proven he can be among the league’s most efficient passers when he’s got time. He’s not as adept at improvising, and last year he spent a lot of time on the run because of the line’s inability to protect him. The Bengals have put more emphasis on big plays under coordinator Bill Lazor, throwing deep often during preseason. The Bengals need breakout years from receiver John Ross and running back Joe Mixon — their top two picks last year — along with third-year receiver Tyler Boyd. TICKETS STILL AVAILABLE: The Bengals sold only 47,732 tickets for their final home game last year in their 65,515-seat stadium, their smallest crowd since 2011. They didn’t come close to filling the stadium for any game, not even against the Steelers and their large contingent of fans. For their first preseason home game this season, the Bengals sold only 35,633 tickets.